Pyranha, Zet, Lettman, Waka, Exo, Prijon, Kober, VE etc. I think we can live without US kayaking products pretty well. Very very odd! All my friends say, after swimming, that their decks "just opened", or better "exploded", by them selves. Also the tightest ones, I R Royals, Seals Pro Rands, Peakuk Creek decks, just "popped out", "exploded", " opened by them selves" etc. 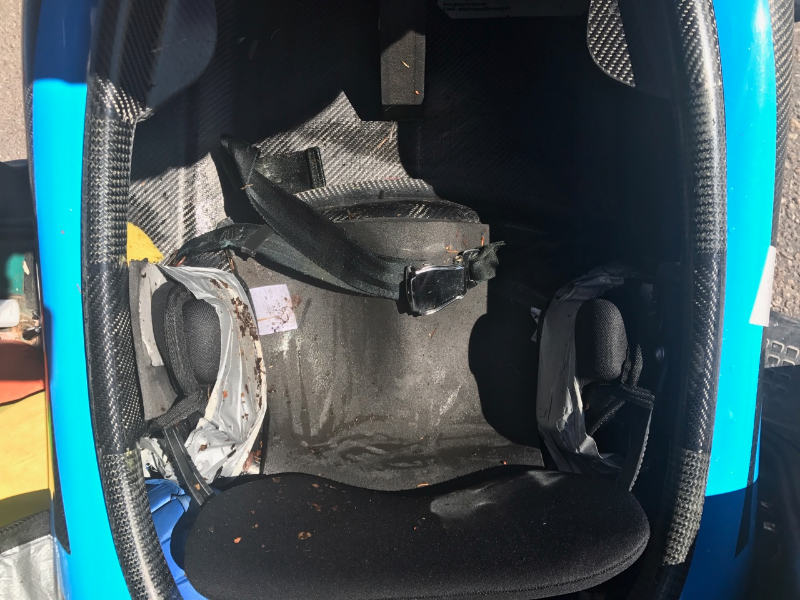 The seat belt in a kayak of the Finnish freestyle champion. It might be possible, that some world class freestylers do not have a backband, but then they for sure have a strong seatbelt (like aero plane seatbelts) in their freestyle boats! So has Bren Orton also, I think. Topic: End of a dream? Re: End of a dream? Hi! People are here talking about class 3/4 artificial courses! Where in earth can I find a artificial white water course difficulty near class 4? I am very interested in. Chris, have you tried WS Moebius? It is big as hell. I, 190 cm and 95 kgs, am all a much too small tiny boy for it, I think it needs a man more than 2 meters and 120 kgs to be good. Ll Braap, Party Braap and Mullet are worth testing! Topic: Pyranha Loki - any good? Re: Pyranha Loki - any good? A helpful hint for you Loki paddlers: take the pads out from thigh braces. It gives a lot more foot room and better sitting position. Just 4 screws on each side. The thigh braces are comfortable also without the paddings. Topic: Who's had coaching then? Re: Who's had coaching then? Topic: Creeking shoes for ladies? Re: Creeking shoes for ladies? Thank you! Our local Palm dealer can get Gradient shoes, so I ask them to order them to the store, so we can try them with a drysuit. Much better than ordering from some net store without beibg sure about the right size.